EPS offers a range of opportunities for learning experiences outside the normal classroom activities. An extracurricular activity is an educationally enriching activity, which will enhance students’ experiences socially, academically, physically, creatively or intellectually. We encourage all students to fully utilise their time at school by engaging in all activities and opportunities on offer. We also inspire students to become actively involved in the school and the wider community. These activities are offered to further enhance our regular school program. 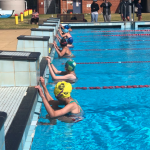 Students in Years 3 & 4 participate in weekly intra-school sport while Years 5 & 6 students participate in inter-school sport as part of the Balaclava District Primary Schools’ Sports Association. 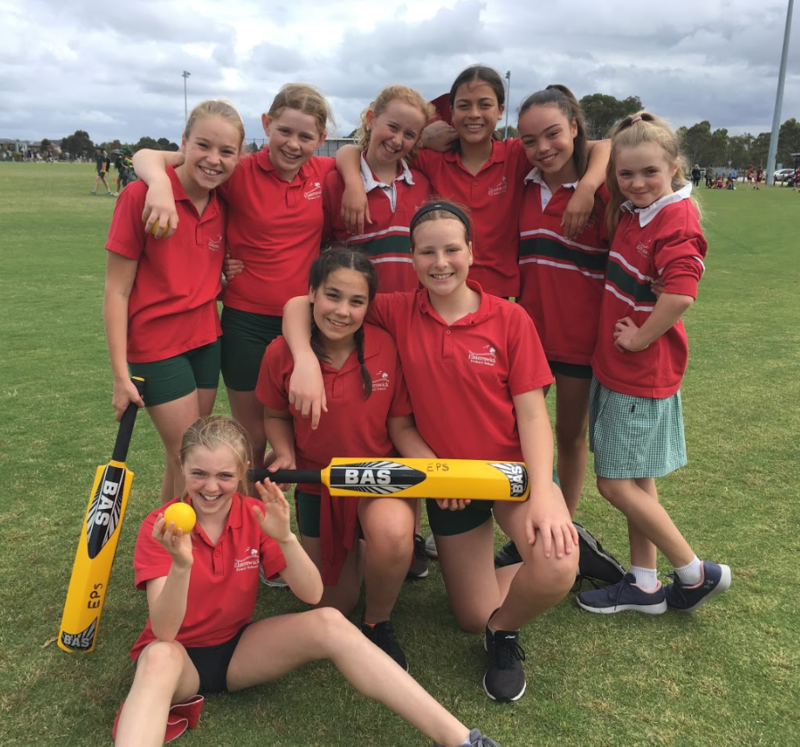 Inter-school summer sports are cricket, basketball, hockey, softball and volleystars. Winter sports are football, soccer, netball and teeball. 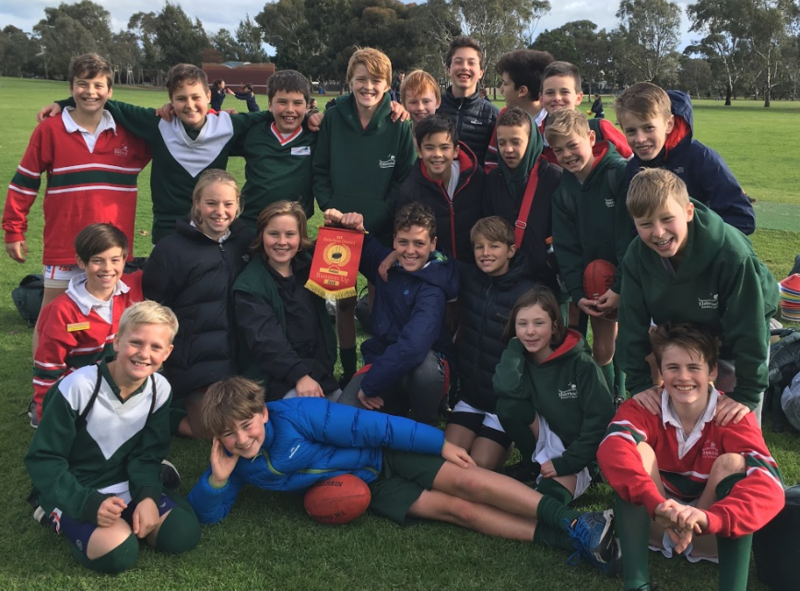 Term 4 sports are European handball, touch, rounders and sofcrosse. All students are designated to a ‘House’ when they are enrolled at EPS. Our House names are Brickwood (Blue), Lewis (Red), Montrose (Yellow) and Murphy (Green). At EPS students have the opportunity to join the Year 3/4 Choir. The choir is open to all Year 3/4 students and they rehearse once a week during lunchtime. The choir program is aimed towards growing students’ performance and vocal confidence with the choir learning a range of repertoire that they can perform. Students will learn how to sing in an ensemble environment focusing on melody, dynamics, form and other relevant elements of music. At EPS the Year 5/6 students have the opportunity to join the Rock Band. The Rock Band ensembles allows instrumentalists and vocalists to come together and rehearse once a week. The focus of each rehearsal is to build the students instrumental/vocal skills allowing them to independently perform the repertoire or chosen songs. Students in the Rock Band not only grow in performance confidence but learn how to actively listen and partake in a band rehearsal, promoting them to have a go at arranging and covering their chosen repertoire of songs. At EPS, we encourage and develop leadership skills amongst all students. 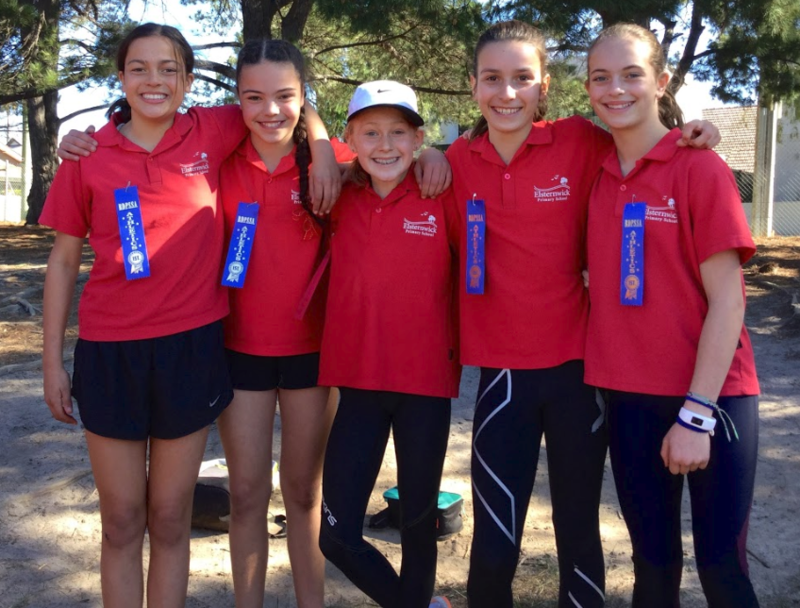 Having effective student leaders supports the development of responsible behaviours, a positive school tone and encourages students to model the school values of Respect, Responsibility, Personal Excellence and Curiosity. To develop students’ leadership skills in goal setting, consultative decision making processes, active and reflective listening, seeking feedback and acting in responsible ways. To promote students sense of empathy towards others and pride in themselves and the school. To encourage student voice being considered in school decision making processes. To develop a student leadership charter that promotes both accountability and a broader valuing of the role of student leaders in this community. 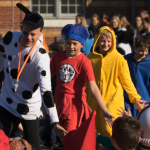 Year 2 students have the opportunity to work with the prep students as junior school leaders, modelling friendship making and cooperative skills in the yard. 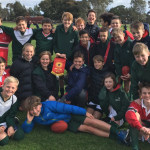 Year 4 students work with prep students through the buddies program (see buddies program). 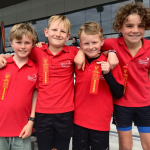 Year 5 students develop the necessary skills to prepare them for moving into year 6, when they have the opportunity to be elected as School Captains and House Captains through a selection process (refer to Student Leadership Policy). They can also develop their leadership responsibility through the peer mediation program (see peer mediators). Year 3-6 students can be nominated to represent their class on the Student Representative Council (see SRC). 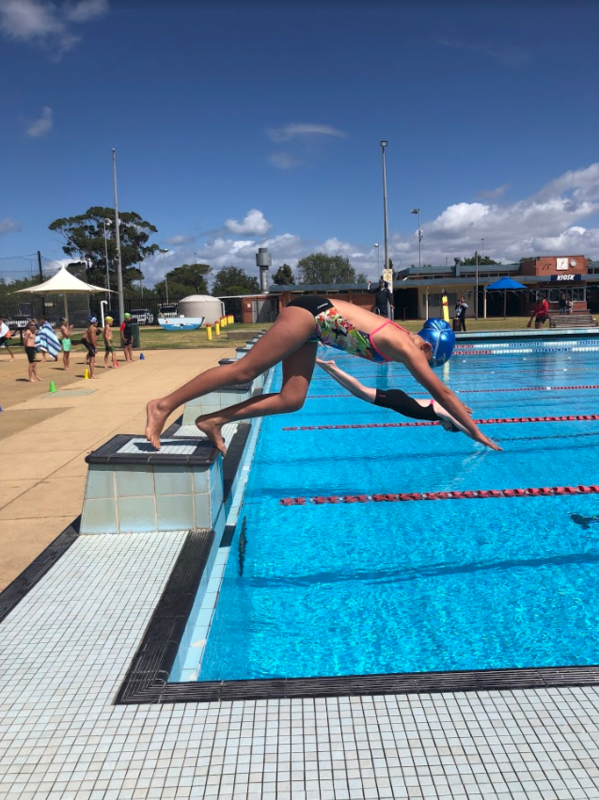 All Year 6 students are expected to commit to the school’s student leadership charter, and to uphold and model the school values throughout the year. Year 6 teachers explicitly teach leadership skills and all Year 6 students are viewed by the community as leaders in the school. They participate in various events throughout the year to develop and practice their leadership skills. 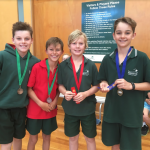 Year 6 Leaders are given the opportunity to plan, prepare and host school assemblies, to prepare newsletter items explaining the activities they have been undertaking, and to be involved as coordinators or helpers at EPS events such as the Prep Transition Program. 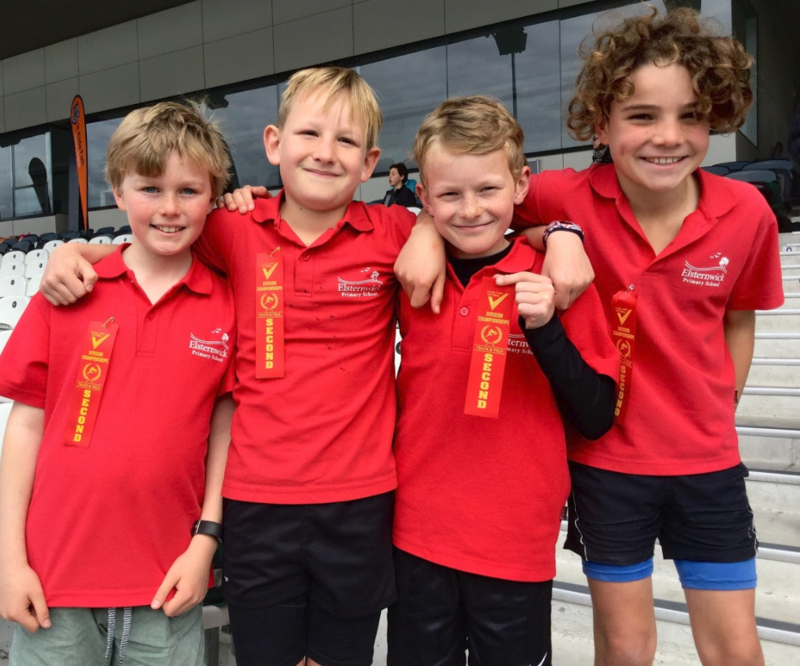 Year 6 school captains represent the school at various times, run Student Representative Committee (SRC) meetings as required, MC at special events, assist during major events such as swimming, athletics and cross country, thank special guests who come to the school, and to conduct tours of the school. 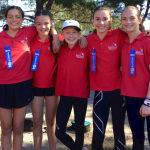 House Captains hold meetings before all major events such as swimming, athletics and cross country carnivals; assist during major events such as swimming, athletics and cross country; lead House supporters to encourage their fellow team mates; co-ordinate lunchtime sports sessions per term for different sections of the school; run the House Points and House Awards program; help the PE teacher when needed; and collect information for 300K and present sport awards at assembly. Other formal leadership roles new to EPS in 2019 include Wellbeing Leaders and lunchtime club coordinators. These roles requires a strong focus on developing relationships with students in other year levels, as well as modelling the School Values and exemplary behaviour. Students in Years 5 will be offered the opportunity to train as peer mediators at EPS. They will undergo a training program late in term one with teachers trained to deliver the course, and will then be timetabled to operate in the yard throughout terms 2, 3 and 4. 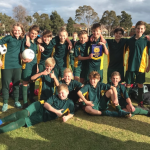 Their role is to promote a sense of pride in the school and adherence to the school values in the community, and model positive and inclusive social play for students in the yard. They display empathy towards others and support younger students when needed by modelling the restorative practices approach to assist in resolving disputes. They will attend monthly meetings to discuss the program and their performance as mediators. The EPS Student Representative Council is made up of one elected student per Year 3 – 6 class. With leaders elected by their peers, across multiple ages, the student population is represented and involved in issues and activities across the school community, including student welfare, school pride, environmental impact, and house spirit, as well as in the support of charitable causes. SRC reps attend meetings, contribute to positive changes for the improvement of our school, make decisions about which community service activities the student body will support, actively listen to class members’ ideas and bring these back to SRC meetings, promote initiatives discussed at meetings with their class, speak at assemblies and conduct themselves in a manner becoming of a leader. 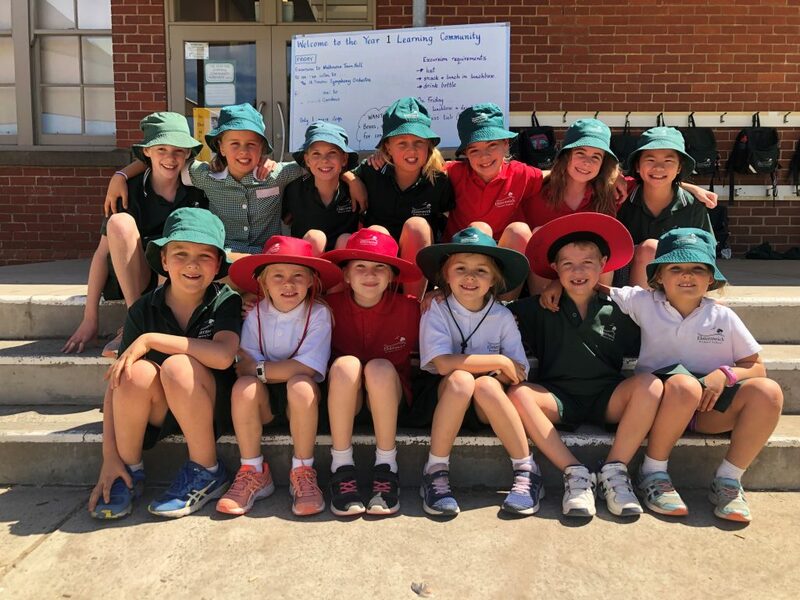 The Buddy Program, where Prep students and Year 4 students are ‘buddied’ together and supported to establish friendships, is designed to promote a smooth transition for children starting school.The goal is to develop relationships between the younger and older children, enhancing the sense of belonging, and creating a friendly and supportive school community. There are benefits for both partners in the ‘buddy’ relationship. The Prep ‘buddy’ has an older peer and role model who can help them feel safe and comfortable in the playground. 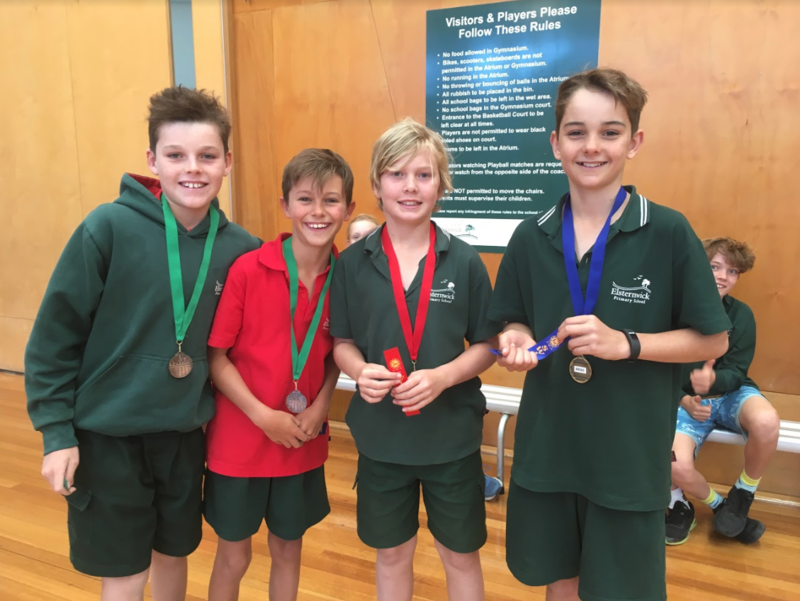 The grade four ‘buddy’ steps into a role which acknowledges and supports their developing leadership and fosters the growth of responsibility. Great care is taken when matching buddies as temperaments, gender and a range of elements are taken into consideration. 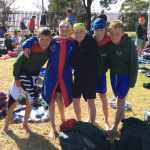 The older buddy is provided with advice and some ‘training’ on how to be a buddy. Teachers are always on hand to smooth relationships as needed, intent on ensuring the buddy experience is a happy one for all. 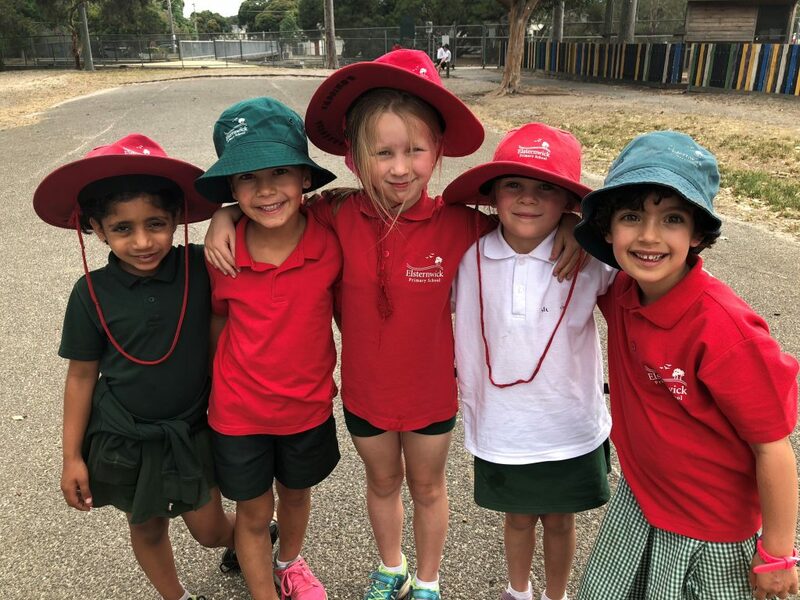 The Buddy program starts in late Term One with a picnic together and continues fortnightly in a 50 minute session timetabled for buddies to meet. The children participate in fun, student run and structured activities related to English, Mathematical and Inquiry focuses. 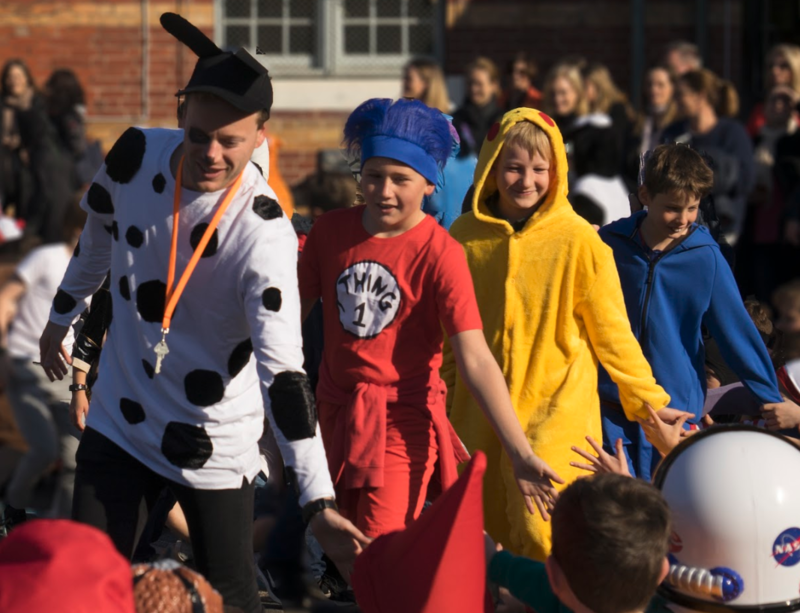 Book Week at EPS is full of exciting experiences to celebrate books, authors, and all things literary. Each year the Children’s Book Council of Australia promotes literary experiences for children including the annual CBCA Book of the Year Awards which affirm and recognise the quality of a range of Australia’s best authors and illustrators, and inspire our young readers. As Book Week approaches in August of each year, our students are immersed in those books deemed outstanding examples in each category, and which have been shortlisted for ‘Book of the Year’. 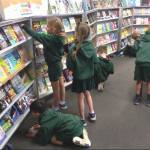 Excitement is heightened by the annual Book Fair which coincides with Book Week each year. 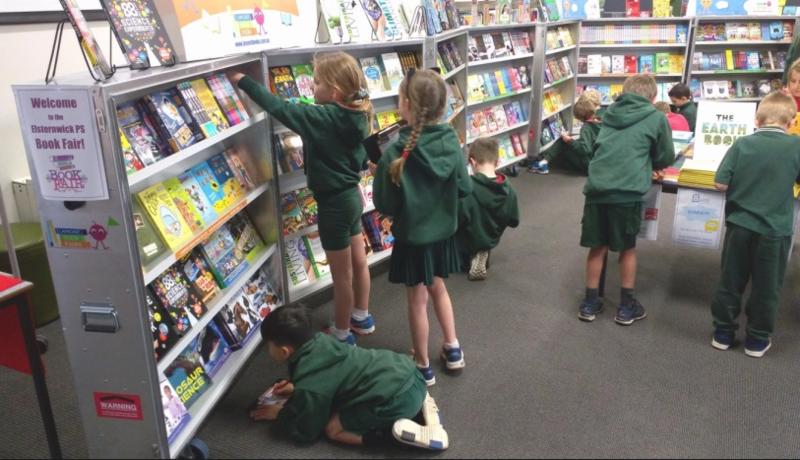 Thousands of wonderful books are brought into the school for the students to browse and purchase, with a percentage of these monies going to the purchase of even more excellent literature for our central library and classroom libraries. 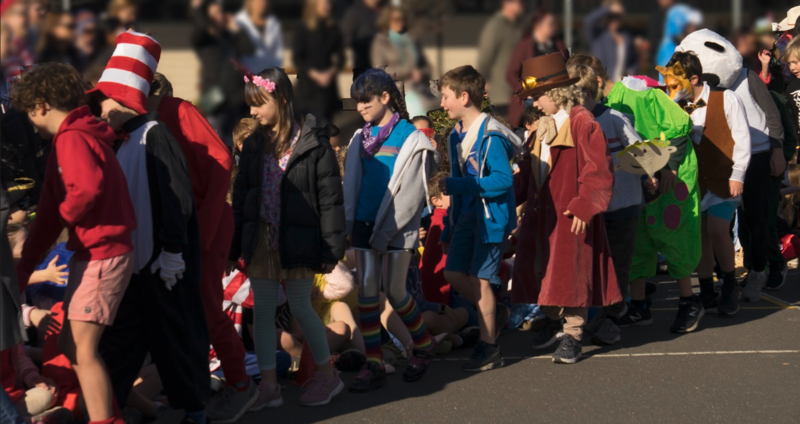 A whole school celebration occurs each year as students become their favourite book characters or create book settings and events through costume, or by creating a literary inspired environment within their class. Book Parades and visits to other classrooms to marvel at the interpretations of magical lands and characters are enjoyed by all. 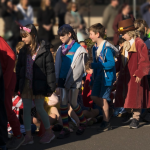 The Elsternwick Community gets involved and parents, carers and friends come to watch the fun and acknowledge the work and connections our students make with the world of literature. Special guests at our Book Week Celebration are the Story Dogs. The Story Dogs and their handlers often come dressed up as characters and love to join in. Monies raised through a gold coin donation during our whole school celebration, continues our sponsorship of the Story Dogs. We hope to see you at our next Book Week major celebration or at the Book Fair. 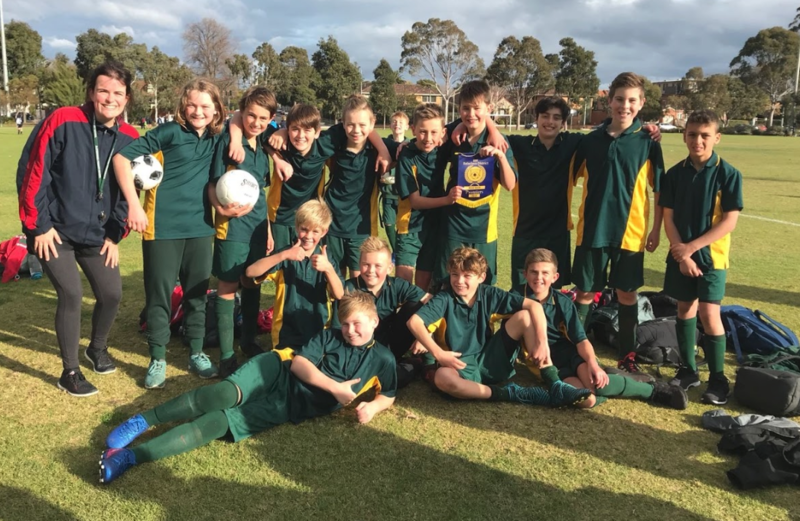 At Elsternwick Primary School, we prioritise the explicit teaching of social and emotional skills to ensure that students have a holistic and positive experience at school. We acknowledge that feeling safe and secure in a supportive environment directly impacts students’ capacity to achieve their academic potential. Our four year School Strategic Plan (2018 – 2021) wellbeing goal is for students, staff and parents/carers to feel safe, valued and respected as members of the community. 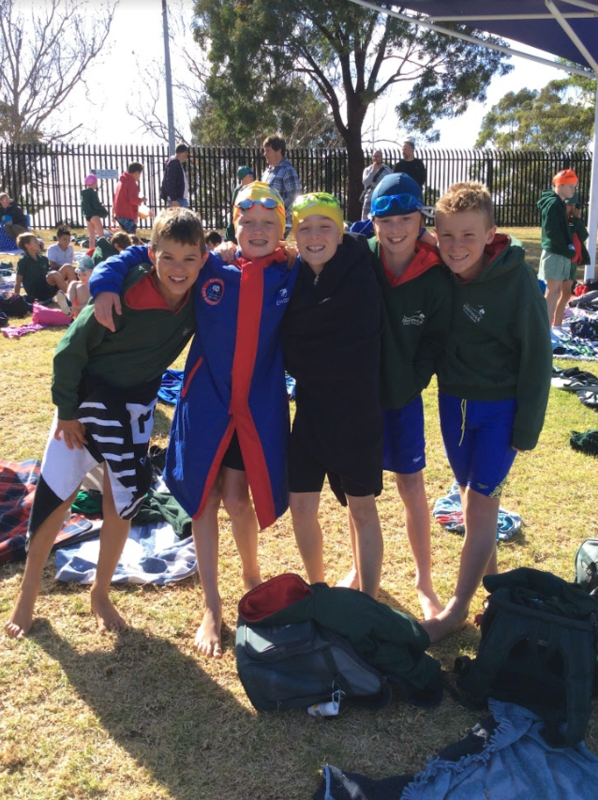 Our unique whole school preventative approach to student wellbeing is a key strategy towards achieving this goal. The framework incorporates the Respectful Relationships initiative, assesses the Social and Personal Capabilities Curriculum, and is informed by our involvement in the Human Rights pilot project. This confirms our commitment to practices that value diversity and inclusion. The Key Learning Areas are introduced by our Year 6 Wellbeing leaders each Monday morning at assembly. Foci are explored by students across all grades at the same time, allowing for reflective conversations as a family at home. We take a preventative approach to behaviour management, through the consistent employment of our Supporting Positive Behaviour manual. The manual complements our wellbeing curriculum framework to ensure that a common language is used across the school and that incidents are dealt with through a respectful, supportive and restorative process. The Zones of Regulation and Restorative Practices underpin our supporting positive behaviour approach. Students’ actively participate in the development of their learning environments and class communities. Strategies to support the development of voice and agency are employed to maximise their engagement and participation in all areas of school life (see leadership and student voice and agency for more details). 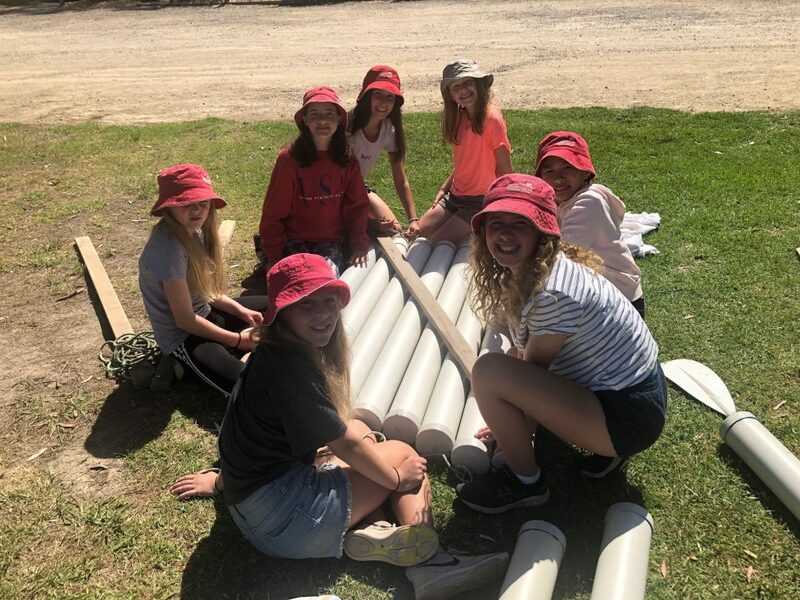 At EPS excursions and incursions provide real life opportunities to support and enhance the learning of our students, to stimulate curiosity and wonder. Visiting places away from school enables students to experience new environments, providing a wonderful shared encounter to learn from, make connections to and reflect upon. Gathering information on a first hand basis, asking an ‘expert’, encourages our students to be courageous, open-minded, resourceful and respectful in their quest to discover more. 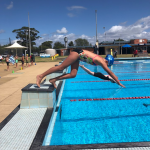 All excursions and incursions are connected to specific curriculum areas and the cost for these experiences is covered as part of the school fees and reviewed annually. The EPS Camps and Outdoor Education program provides experiences that promote lifelong engagement with both active leisure and learning pursuits. 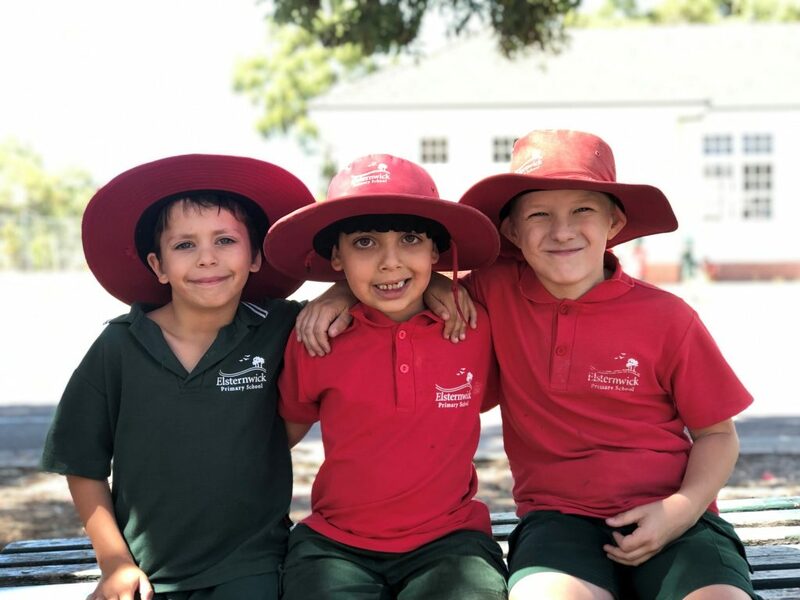 Our programs promote our school values and enable young people to demonstrate independence, leadership, cooperation, tolerance and empathy towards others. 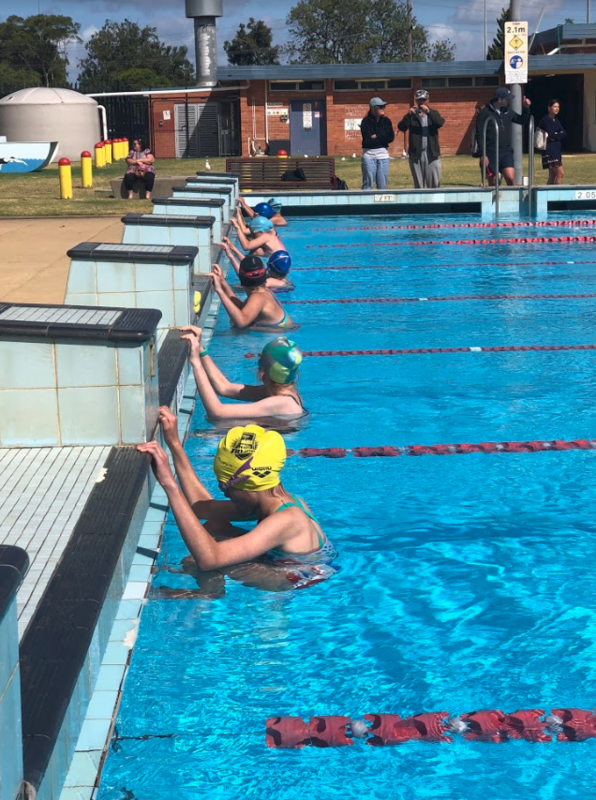 In Years 3 and 4 the students participate in a two night camp at Phillip Island Tourist Resort and Arrabri Lodge, Warburton (alternate years). 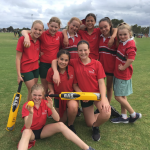 In Year 5 students go on a four night camp to Coonawarra Farm Resort in East Gippsland and in Year 6 they spend four nights at Merricks Lodge on the Mornington Peninsula. Information sessions are provided to parents/carers before camp to outline the camp activities and to answer questions. Our school nurse Lindy is on hand between 8.30am – 3.00pm, Monday to Friday. Lindy attends to ill and injured children, updates student medical records (i.e. asthma, anaphylaxis and medication), administers medication when authorised, provides advice to parents both verbally and in the school newsletter as well as completing accident records.